It is almost impossible to find a music store that does not carry a Kala Brand instrument of some kind. In my area, there are two music stores that carry Kala ukuleles. 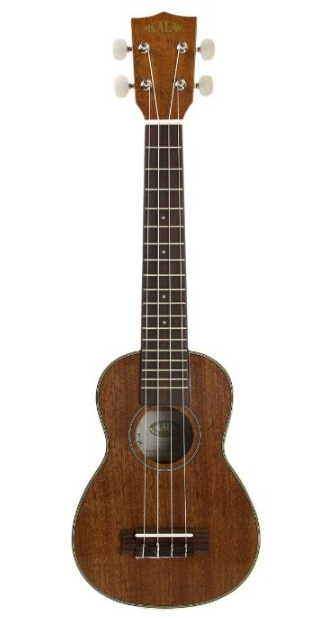 A little over seven months ago, after I bought my first tenor ukulele, I purchased a Kala soprano as my second uke for a little over $200. It has a solid spruce top with a spalted maple body and a satin finish (KA-FMS). I probably sat in the music room and played that uke for 20-30 minutes before I purchased it. I could not believe the tone and volume it had, especially as I compared it to other ukes on the wall including some Martin ukuleles. After my first introduction to Kala I liked the soprano so much I went back and purchased a concert uke with the same wood combination. It too had great volume and tone. I eventually purchased the tenor version too with the same results. For years I have played guitar, many of them Taylor’s and Martin’s. I never owned one made of all laminate wood. I was a fan of all solid wood guitars with gloss finishes. Honestly, I feel much different now due in large part because of my experience with the Kala company. Let me expand on this a little. As I continued to learn the ukulele I wanted to buy an inexpensive uke for my office. The office was dry with very little humidity so I decided to buy a laminated uke. I bought a Kala soprano long neck from Amazon that was an all mahogany laminate (KA-SLNG) for around $100. It was a great looking ukulele, and it played and sounded great. I installed two strap pins and enjoyed having it near me for the occasional break. Two weeks after I purchased it I happened to take a flashlight to look inside. Granted, I should have done that first, but at my age of 62 I find I am not as detailed as I use to be. Looking inside I found glue smeared over much of the bracing. One of the braces also had a crack in it. This concerned me for the future, as I know a cracked brace can cause buzzing as the brace cracks more and vibrates. It was obvious to me that this ukulele slipped through Kala’s normally stellar quality control. It happens. As I write this I own six Kala ukulele’s, which were made in China, and they all look fantastic inside and out. By the way, I have another one ordered from Hawaii Music Supply (HMS) which should be in the mail any day now. Instead of contacting Amazon I sent an email to Kala. This was just before the NAMM show, which would put us at the beginning of this year, 2015. A girl named Amy responded with a very nice email and referred me to Will. He also touched base with me with a nice email stating they could not do anything because I had modified the instrument. Modifying the instrument voids Kala’s warranty. I understood that but felt neither the cracked brace or glue spread on the inside of the uke was caused by me adding a couple of strap pins. In the past I have worked in a music store so I understand how to install strap pins properly without harming the instrument. I have installed many on ukuleles and guitars. I ended up emailing the founder of Kala, Mike Upton. Again, he responded with an email in which he stated that Will was correct about the warranty. He went on to say how much he appreciated me being a loyal customer so he was going to make an exception and replace the ukulele with a new one. By the beginning of 2015 I owned a few Kala ukuleles, which I had mentioned in my email. He had me send in the uke, after removing the strap pins. In a couple of weeks I received a brand new uke that was in perfect condition inside and out. It played beautifully. I learned a couple of things from this experience. First- give a new ukulele a good once over as soon as you receive it. Second- Kala stands behind their instrument and genuinely cares about their customers and reputation. There are some very friendly people working for Mike. As a customer, I appreciate that. I now own three Kala long neck soprano ukes, and others, and they all look, sound and play great. I am blessed to also own a couple of Kamaka’s and a Mya Moe super soprano and I have bought and sold a Blackbird Clara. One thing I have learned is that ukulele’s are much different from guitars when it comes to dollars spent and quality of instrument/tone. If I buy a $200 guitar and then upgrade to a $1000 guitar there will be an obvious difference in the instruments. Not so with ukulele’s. I have spent $100 on a couple of ukes and more than $1000 on a couple of ukes. Is there a difference in the construction, appearance, playability and sound? Yes, but it is small. Is it worth it? That is up to the individual uke player/consumer. 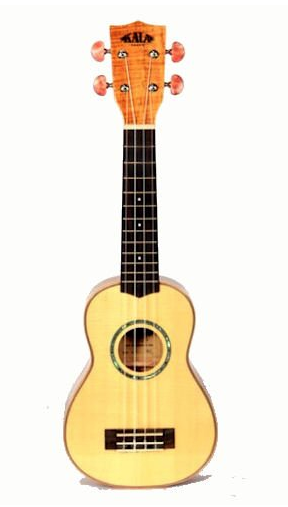 I will tell you that I routinely leave the more expensive ukes in their cases and reach for one of my Kala’s. They are fun to play and sound great. I hope my experience will help others. It is important to know that you or I don’t need to spend huge amounts of money to have a ukulele that will look nice, be well built and play/sound great. If you want to buy an expensive uke go right ahead. I have more than once. In fact, my dream is to have a custom ukulele built for me someday. It is important to know that by in large it won’t make me a better player. I can play my first Kala soprano uke just as well as my Kamaka uke which cost me almost four times more. I love them both but honestly the Kala holds a special place in my heart as it was my first soprano. As a disclaimer I am not employed by Kala Brand Music. In fact I am not employed by anyone as I retired the end of March of this year. I am simply telling a story that I hope others will benefit from. I must also note that Kala introduced their Elite series of ukulele’s at the 2015 NAMM show. They are built in Petaluma, CA., are more expensive, beautiful to look at and undoubtedly sound great. I look forward to playing one if I can find one locally, which up to this point I have not been able to do. Until next time, keep playing and enjoy your ukulele no matter how much it cost you.